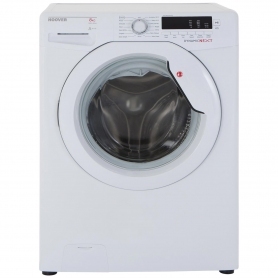 The DXC58W3 has A wash and A spin dry performance ratings, helping to deliver unrivalled cleaning results every time. Despite this great performance, the machine uses very little electricity. The A+++ energy efficiency rating means you can save money, as well as do your bit to look after the environment, with each wash cycle. It’s worth remembering that these ratings are the best you can get. 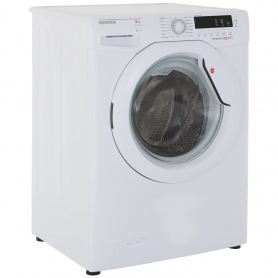 To improve efficiency even more, the machine weighs your washing at the beginning of the cycle. It then uses this information to change the water and energy usage, as well as tweaking the length of the programme. 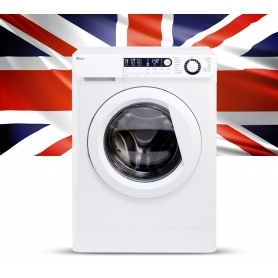 There are 4 quick wash programmes to choose from, allowing you to get small loads clean fast. Select from Rapid 14, 30, 44 and 59 minute programmes, depending how quickly you need your garments and how big a load you have. Take care of your fragile garments during the cycle with the hand wash programme. Rest assured that your favourite silk shirt and delicate lace underwear will be treated with TLC, wash after wash. 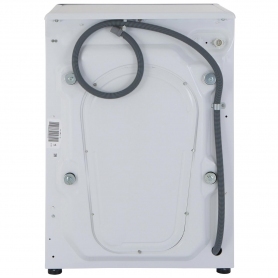 The porthole is positioned higher than your average washing machine, opens to a 180° angle and has a 35 cm width to make loading and unloading stress-free. 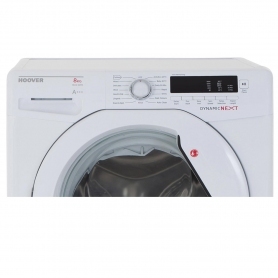 Delay the start of the wash cycle by up to 24 hours, giving you the freedom to wash your clothes at a time that suits you. 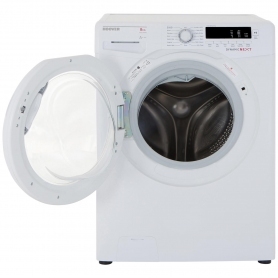 Selecting the appropriate wash cycle couldn’t be easier with the large LCD digital display and control dial. 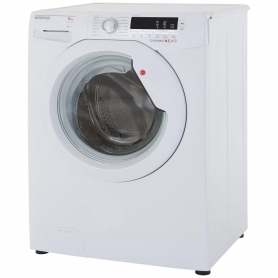 This fantastic appliance is packed with innovative technology. Click Add to Basket to order yours.